Distributed Systems: Concurrency and Consistency explores the gray area of distributed systems and draws a map of weak consistency criteria, identifying several families and demonstrating how these may be implemented into a programming language. Unlike their sequential counterparts, distributed systems are much more difficult to design, and are therefore prone to problems. On a large scale, usability reminiscent of sequential consistency, which would provide the same global view to all users, is very expensive or impossible to achieve. This book investigates the best ways to specify the objects that are still possible to implement in these systems. 5.5 Which criterion should be used? 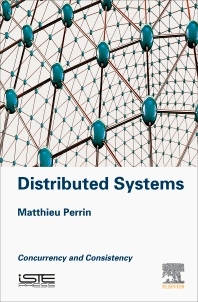 Matthieu Perrin is a researcher whose interests are primarily focused on distributed systems modeling. This book is based on work carried out for his PhD thesis at the University of Nantes in France.